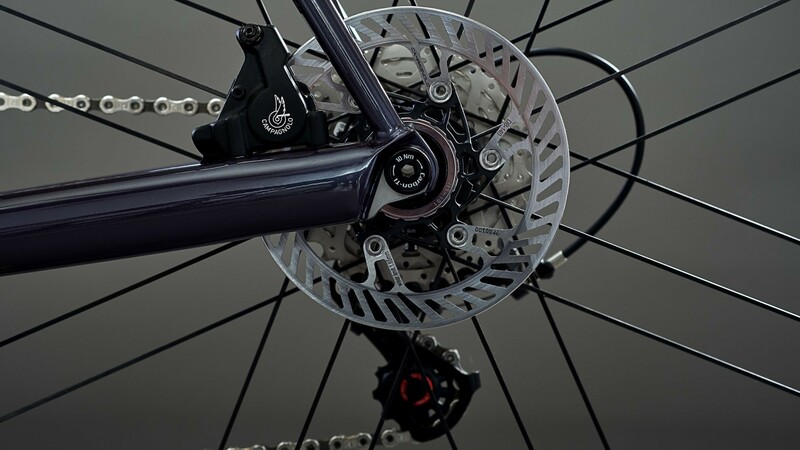 The disc brake version of SB/03 designed to compete at the highest level. 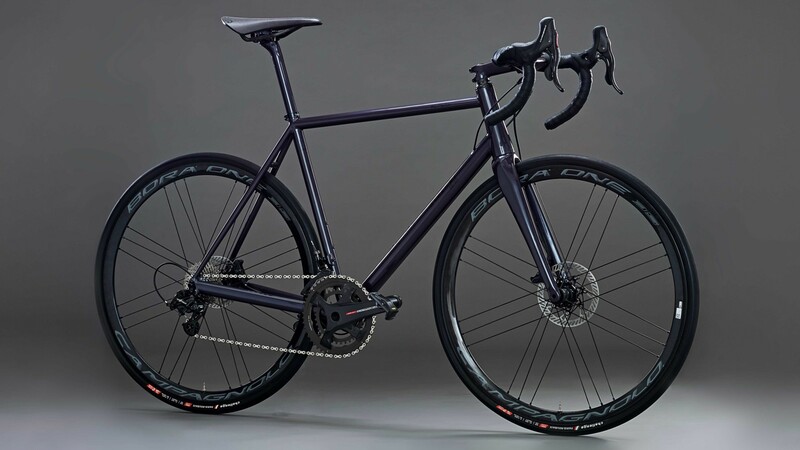 The adoption of thru axles and specific tubing to manage the forces from disc brakes, further increase lateral stiffness and reactivity to rider input. The reasoning behind this project was simple: Make the best possible race bike using the latest steel technology. The SB/03 is a true Italian handmade product, with the ambition to be a viable alternative to carbon fiber frames and for those who will have the pleasure of discovering (or rediscovering) the incredible dynamic characteristics of steel. 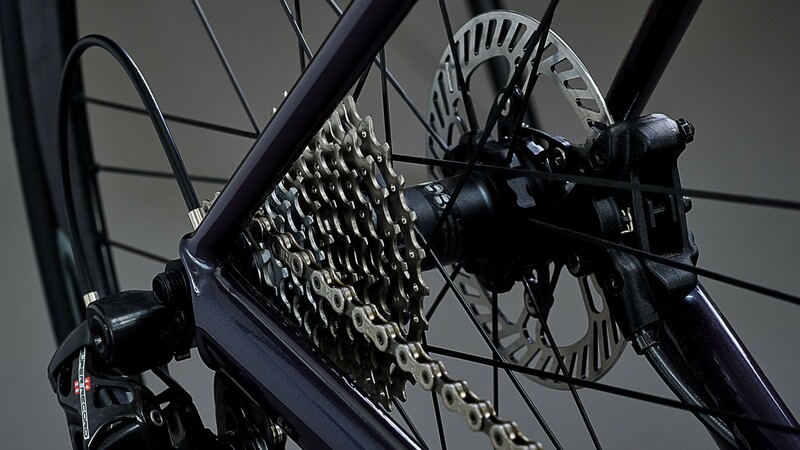 This model is constantly evolving and the disc version is a further step in the direction of maintaining Stelbel production inline with market demands and technological evolution. 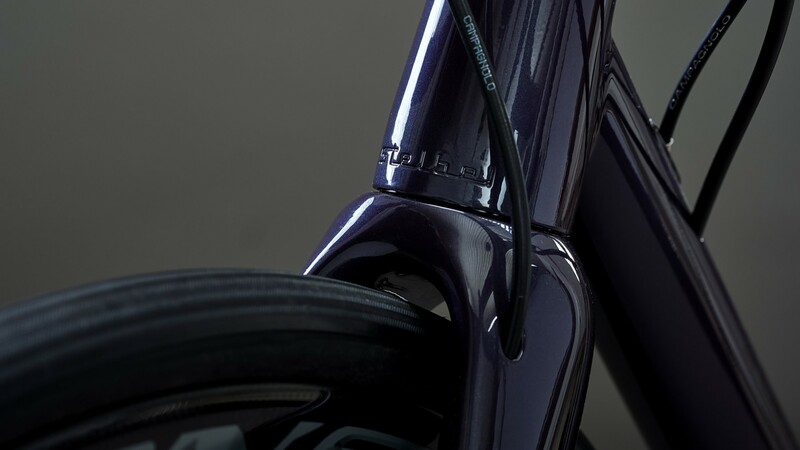 Large diameter tubing coupled with Stelbel’s unique rear triangle design gives the frame optimum rigidity, increasing power transfer and road feel. More stiffness has been added thanks to the inclusion of a T47 bottom bracket. 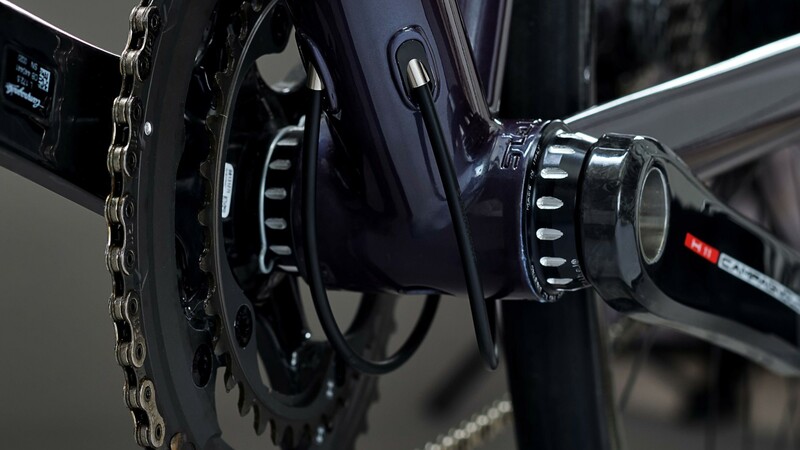 This oversized threaded bottom bracket standard eliminates any of the typical drawbacks associated with press fit systems. 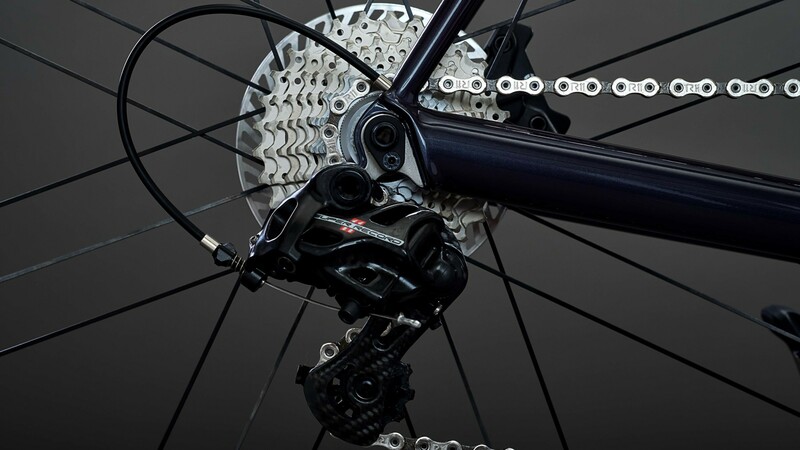 On the disc brake version of SB/03, the adoption of thru axles and specific tubing to manage the forces from disc brakes, further increase lateral stiffness and reactivity to rider input. 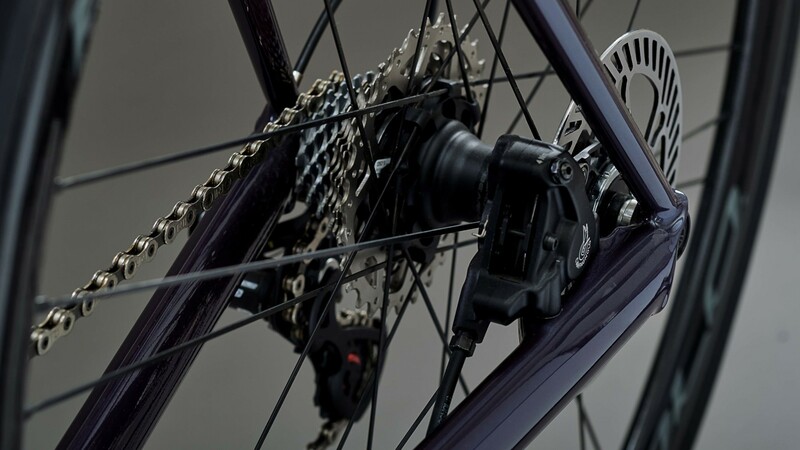 The combination with hydraulic disc brakes further enhances the features of this model. The adoption of 12mm thru axles contributes to reduced lateral flex, enhancing the rigid rear triangle and our specifically designed dropout. 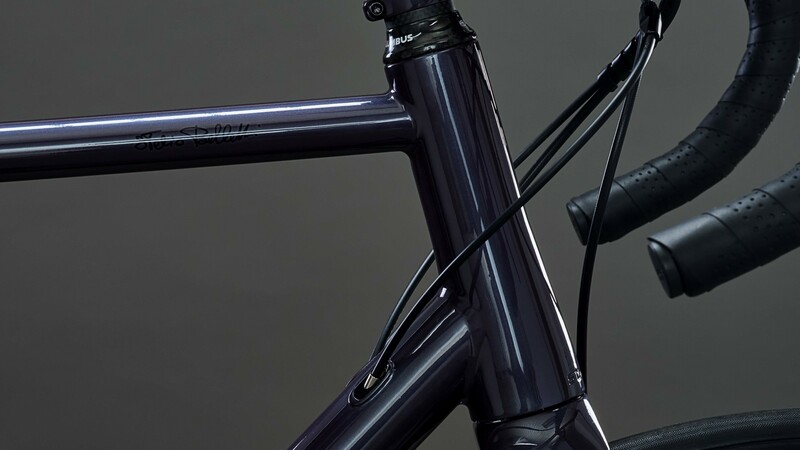 A tapered head tube has been adopted for maximum steering precision coupled with a 1.5″ fork and integrated headset. We can supply forks from Columbus Tubi, Enve, 3T and WR Compositi. 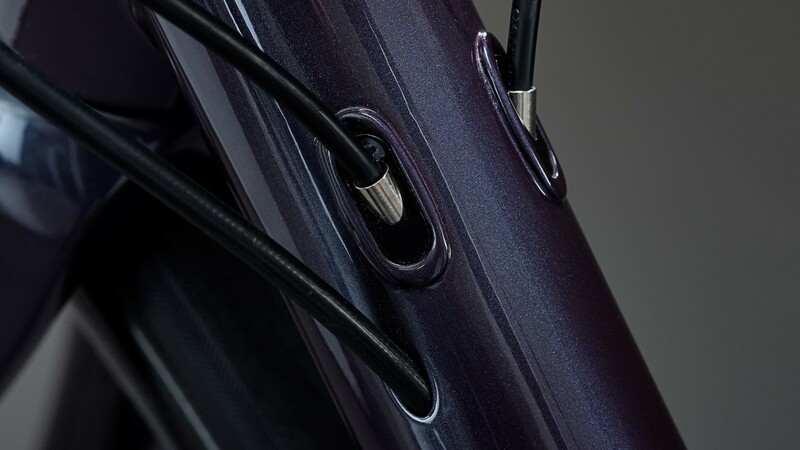 Cable routing is fully internal, a detail we chose to demonstrate the frame builder’s exquisite craftsmanship and to add a final flourish, both technically and aesthetically. Each Stelbel frame is unique, exclusively made to measure and comes with custom geometry. You can send us a professional bike fit report or alternatively follow our instructions for completing our measurement form. If you want to visit us in Bergamo, you sure be welcome.